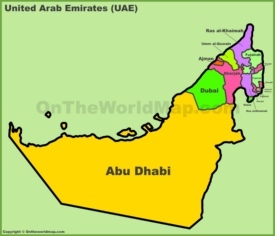 United Arab Emirates is a country that also called the UAE and Emirates. 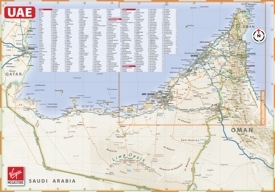 It is located in the southeastern corner of the Arabian Peninsula, bordering Saudi Arabia to the south and Oman to the east. 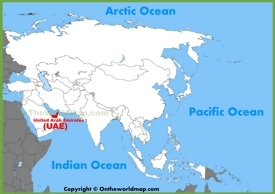 UAE also shares borders with the Gulf of Oman and the Persian Gulf, which separate the country from Iran and Qatar. 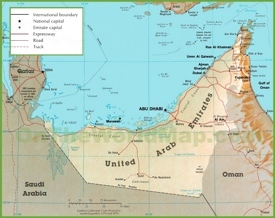 Borders with Qatar to the southeast and northeast are still a matter of an outgoing dispute. 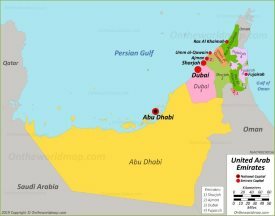 The country is a federation of seven emirates: Ajman, Abu Dhabi, Dubai, Sharjah, Umm Al Quwain, Ras Al Khaimah and Fujairah. 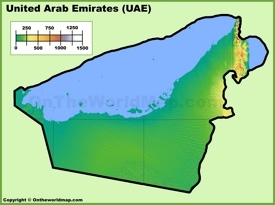 Abu Dhabi is the largest emrate and Ajman is the smallest emirate. The official language is Arabic. UAE has a very high cost of living, exceptional healthcare services, low taxes. It is a top tourist destination and a so called “Free Zone” for expatriates. The country is one of the richest oil-based economies in the world. 80% of population being foreign born. Area: 32,278 sq mi (83,600 sq km). 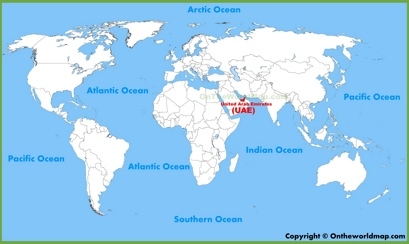 Largest cities: Dubai, Abu Dhabi, Sharjah, Al Ain, Ajman, Fujairah.